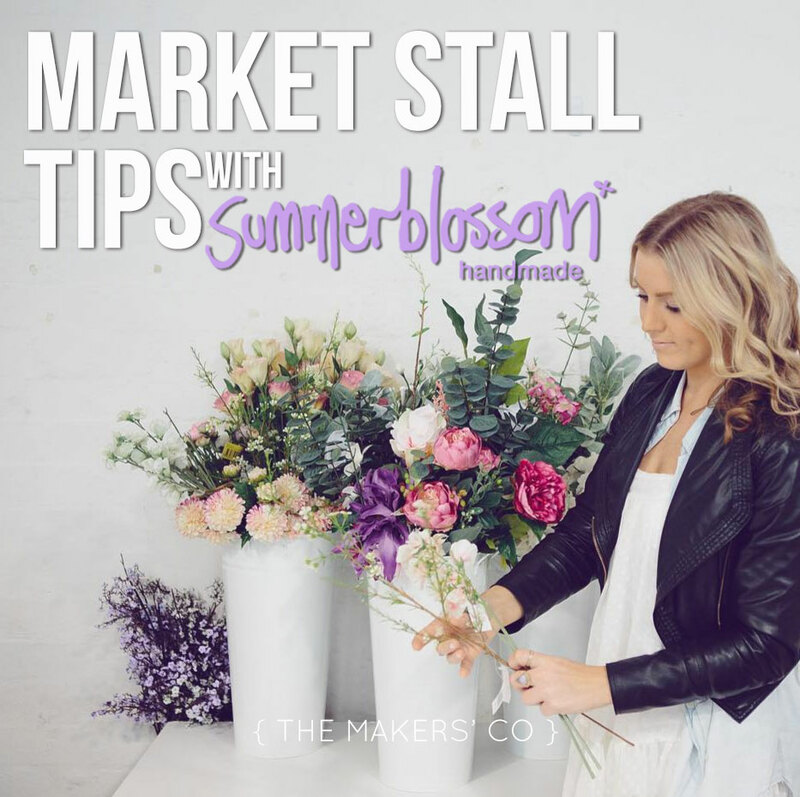 If you’re selling your products via markets in your local area or even travelling interstate for a market, I bet you’re constantly looking for new tips and tricks to improve your market stall, especially if you’re new to the game! 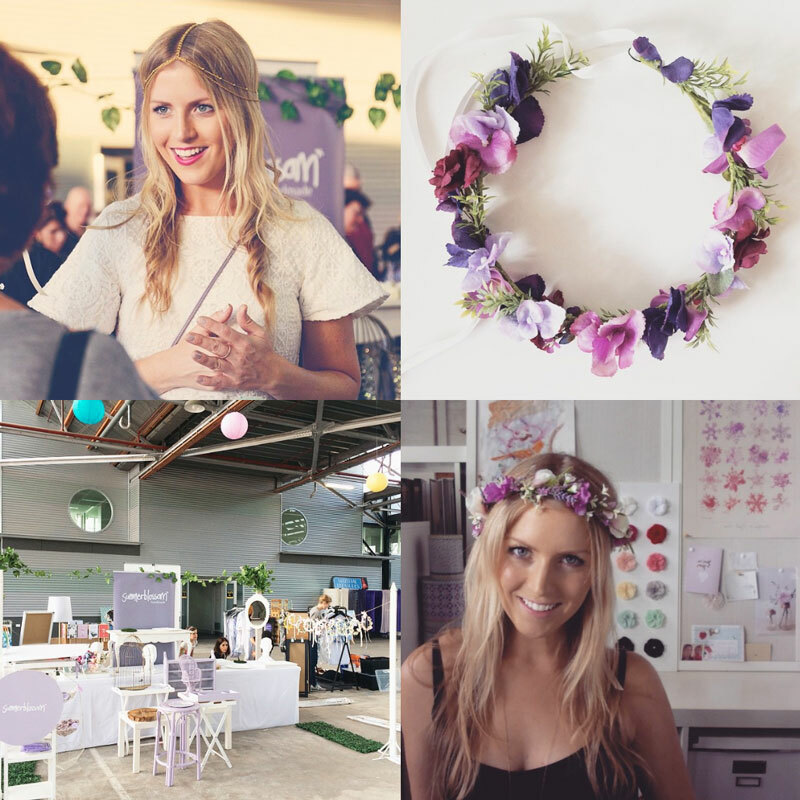 Today I have a post from the gorgeous Rochelle of Summerblossom (who incidentally has been my handmade business idol for the last 6 years or so!). 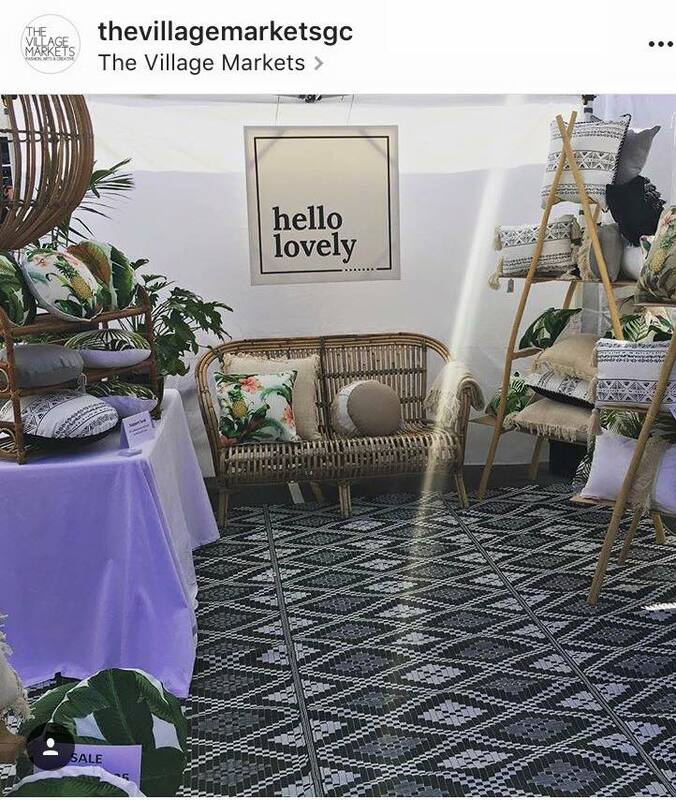 Rochelle is always so generous sharing her knowledge and advice with others on their handmade business journey, she really epitomises the type of supportive and encouraging business woman I hope we are all aspiring to be here at The Makers’ Collective! Rochelle originally posted this helpful guide on the Mums with Hustle facebook group (another incredibly encouraging and supportive forum for women in business!). Read on to glean some valuable insight! 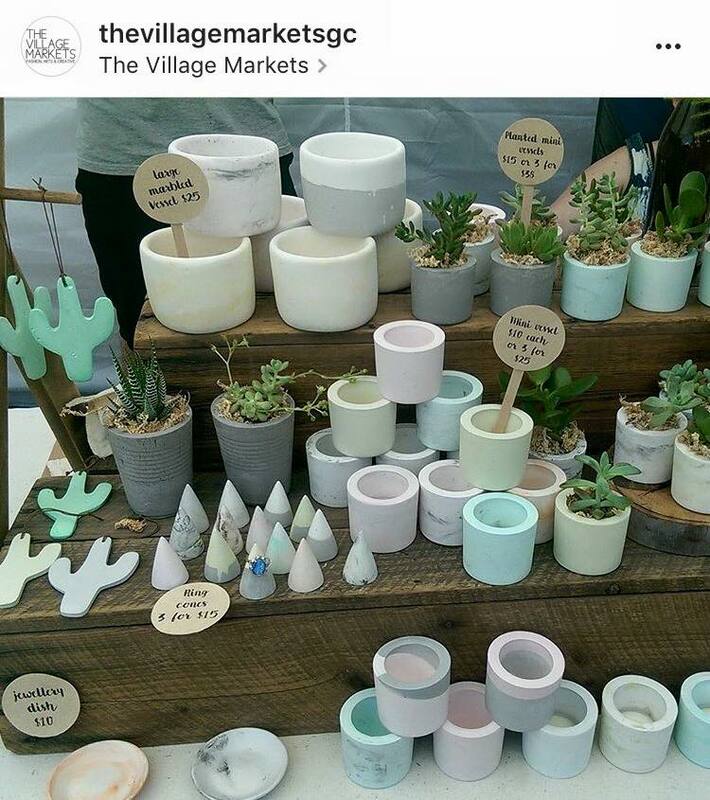 I’ve seen a few posts in here lately asking about market stall set ups. I did markets for around 5 years (many from a tiny hatchback!) and learnt a few tips I’d like to share. Maybe an obvious one, but height and layering on your tables is key. 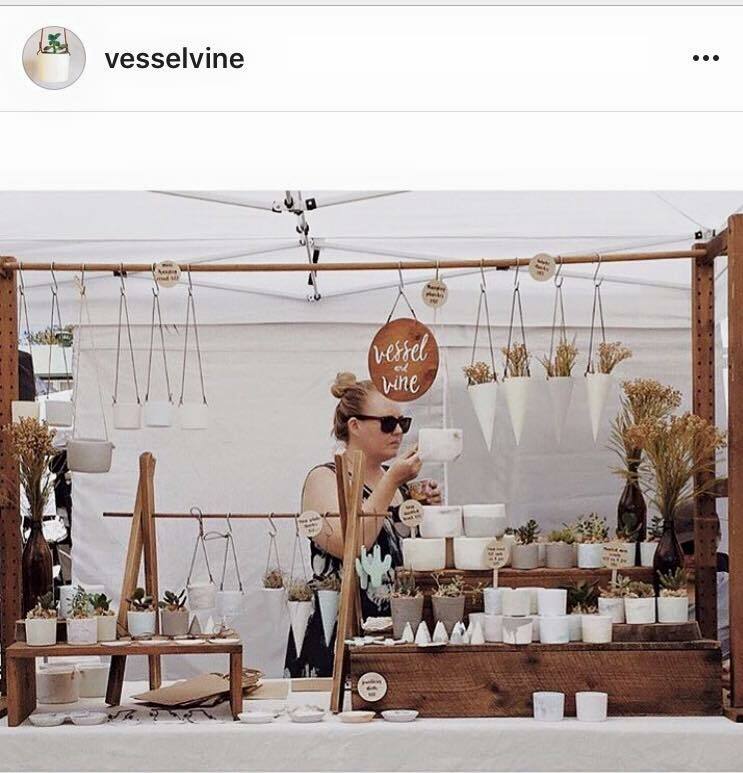 Not only does it make your stall look amazing, if you have small products it saves people from bending over to see the details. For layering think; boxes, shelves, small side tables, plank of wood or shelf with items propped underneath. 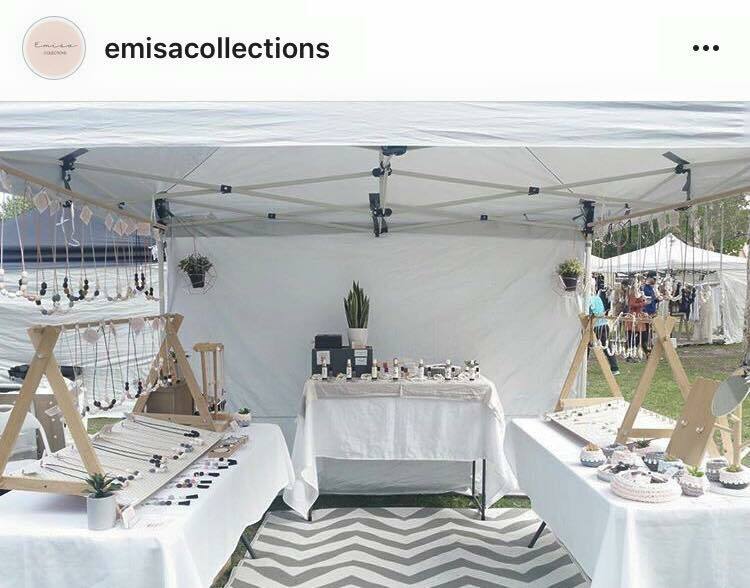 For height either use your marquee, or if indoors use two tall props (coat racks, umbrella bases with poles) to place behind your table and string up signage or your products. Statement props/furniture can really set the scene. 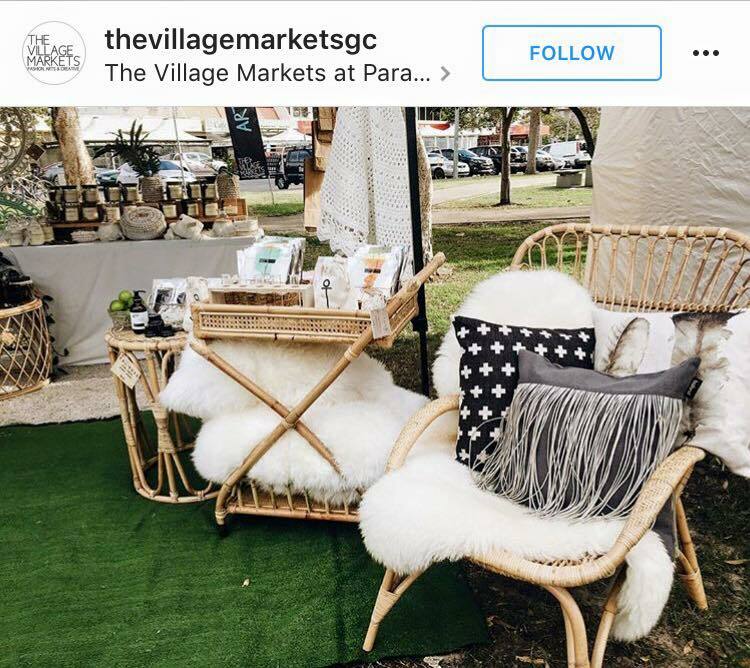 One big gorgeous beachy chair, a cool plant, a hanging chandelier, a side table etc helps communicate your brand message. Invest in one simple yet effective sign with your logo. Don’t overthink it and crowd it with URLs, social details etc. Save those for your business or postcards. Bonus points if the sign is made from an interesting material (wood, metal, plastic) although a large uncluttered vinyl banner from Vista Print will suffice if hung neatly. Use floor space and statement furniture to set the scene. Great signage too. 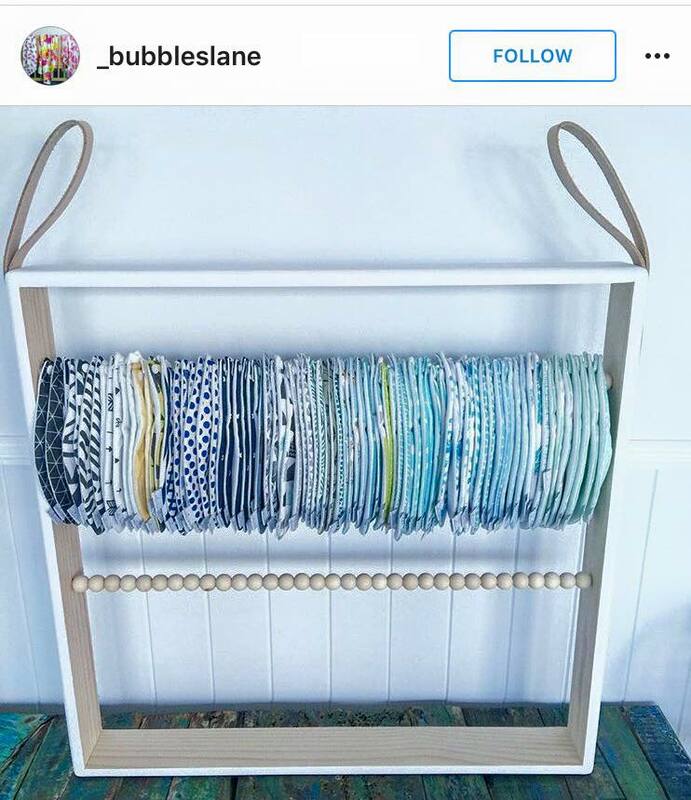 When shopping for furniture, look for legs that screw off and shelving that folds flat. If you’re using trestle tables fitted and ironed table clothes are essential. (Search for Casper Australia on eBay for great fitted covers). Customers love clear pricing and market specials. 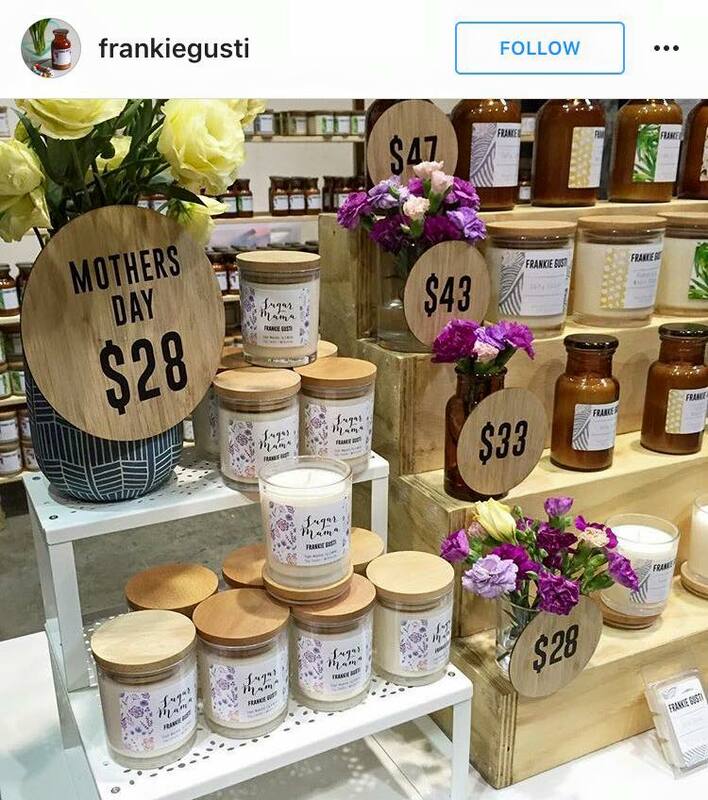 Think about your mini signage to clearly communicate pricing before market day. Boy I wish I did this from the very start! All you need is a clipboard and a little incentive such as an online voucher, a lollipop, a small product sample – anything! Customer emails are gold. I pretty much always found white gazebos worked best (blue and green were often too dark). Pack white gazebo walls just in case your neighbour likes their stall a little on the cluttered side ?. 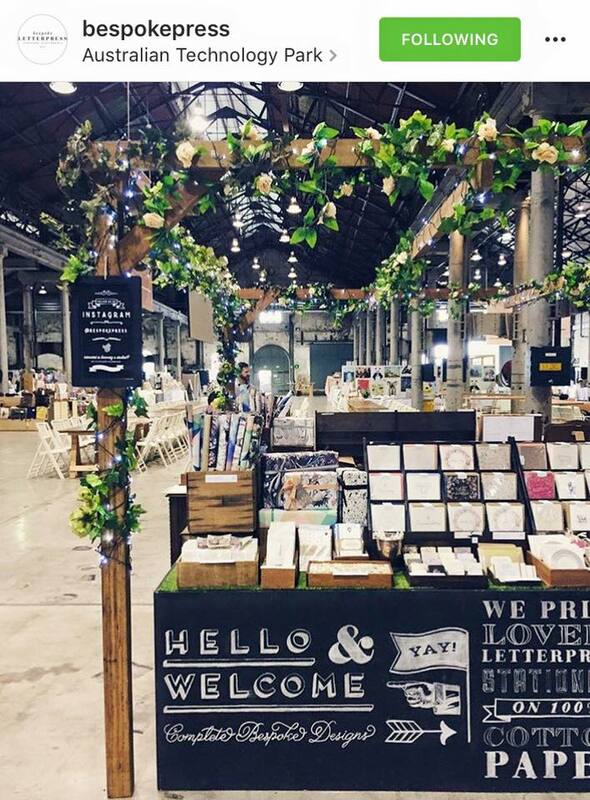 Organise your stall and make it more appealing by keeping it tidy and grouping colours together. If you’re chatting to a customer who is looking for a gift, I often found that offering to wrap it beautifully sealed the deal. If you can, stand up or take a tall stool. And smile! If you’re hiding behind your stall in a comfy chair you’re less likely to engage with potential customers. It’s more draining, but I found my sales always reflected my enthusiasm. That’s all I can think of for now, hope that helps some market newbies! Feel free to ask me any questions if you have them, I’m happy to share what I know ?. See? What a beautiful girl! So helpful and encouraging. 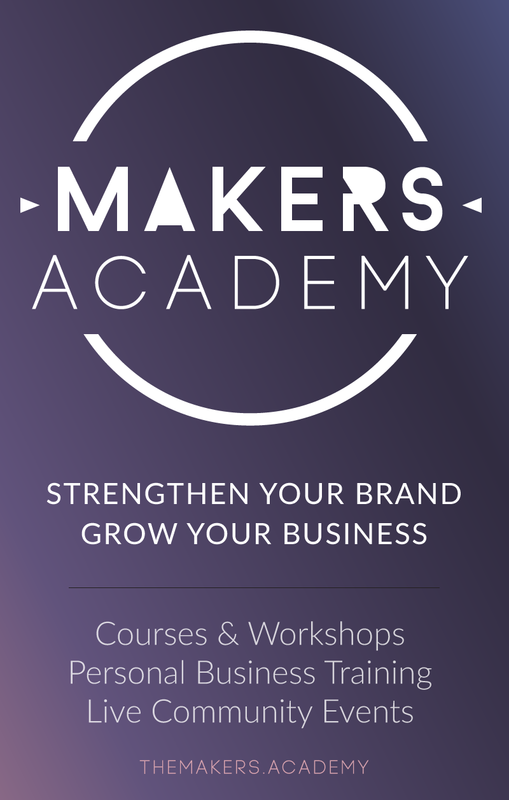 Thank you Rochelle for letting me share your post on The Makers’ Co website ? 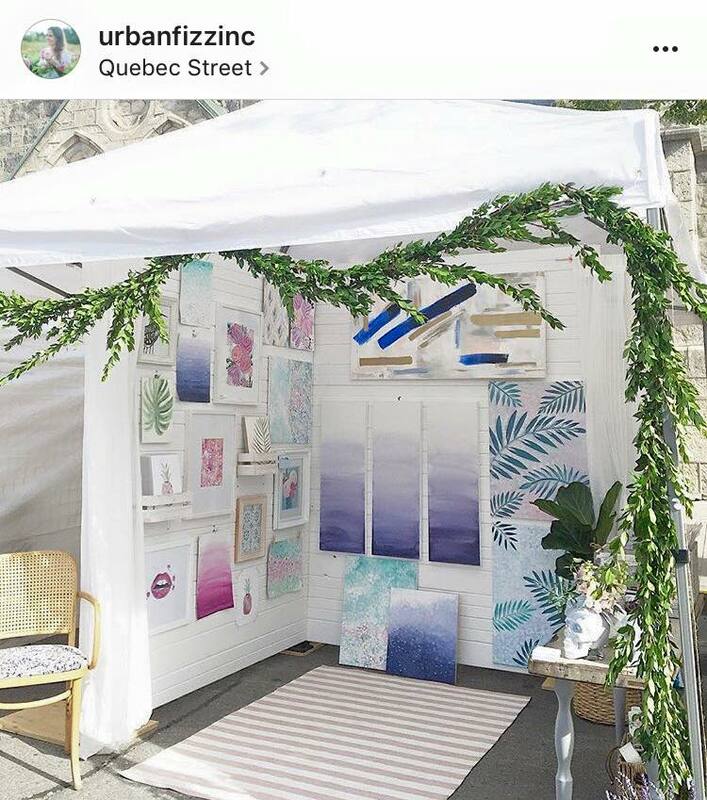 What are your top tips for a gorgeous market stall setup?